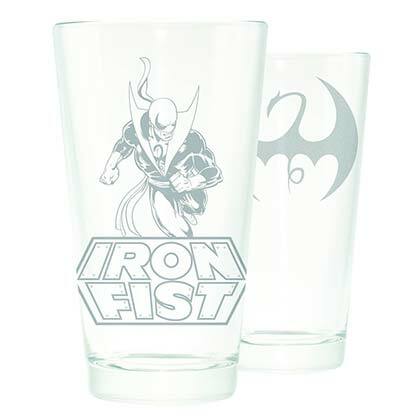 Iron Fist pint glass. Made in the USA, this 16 oz drinking glass features the "Iron Fist" logo etched on both sides. Officially licensed.